Her name means "miracle" in Sanskrit, and to her parents, that's exactly what Kimaya is. The first baby to survive after several miscarriages, Kimi grows up in a mansion at the top of Mumbai's Pali Hill, surrounded by love and privilege. But at eleven years old, she develops a rare illness that requires her to be confined to a germ-free ivory tower in her home, with only the Arabian Sea churning outside her window for company ... until one person dares venture into her world.Tasked at fourteen years old with supporting his family, Rahul Savant shows up to wash Kimi's windows, and an unlikely friendship develops across the plastic curtain of her isolation room. As years pass, Rahul becomes Kimi's eyes to the outside world-and she becomes his inspiration to better himself by enrolling in the police force. 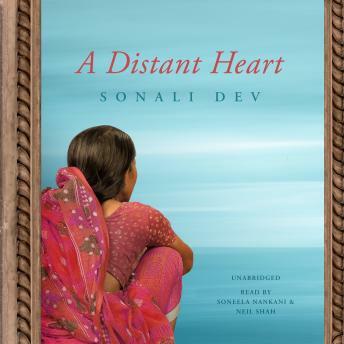 But when a life-saving heart transplant offers the chance of a real future, both must face all that ties them together and keeps them apart.As Kimi anticipates a new life, Rahul struggles with loving someone he may yet lose. And when his investigation into a black market organ ring run by a sociopathic gang lord exposes dangerous secrets that cut too close to home, only Rahul's deep, abiding connection with Kimi can keep her safe-and reveal the true meaning of courage, loss, and second chances.Infused with the rhythms of life in modern-day India, acclaimed author Sonali Dev's candid, rewarding novel beautifully evokes all the complexities of the human heart.